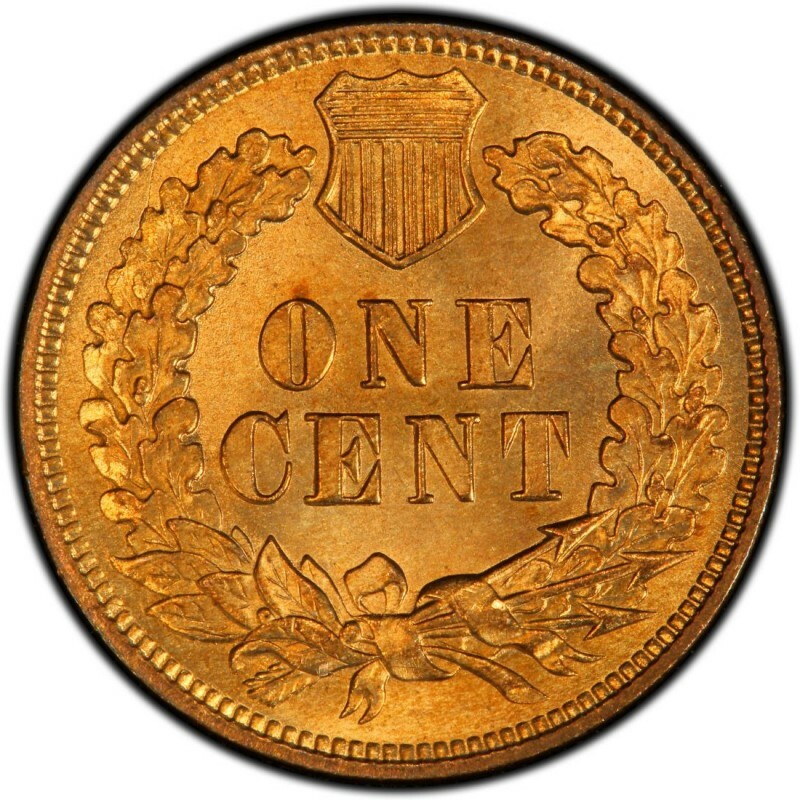 1872 Indian Head cents are considerably scarce, and are among the most expensive Philadelphia-minted, regular-issue Indian Head cents behind the 1877 Indian Head penny, which is the series key. While the mintage of the 1872 penny is technically higher than the 1871 (the second-scarcest regular-issue Indian Head penny from Philadelphia behind the 1877), this piece is the costlier of the two across virtually all grades. 1872 Indian Head pennies were struck as business strikes and proofs. 4,042,000 regular-issue coins were produced and 950 proof pieces were struck. Regular-issue coins are worth $110, which is roughly $20 more in that grade than its lower-mintage counterpart, the 1871. Meanwhile, the value of the 1872 proof piece stands at around $4,250, which is also much higher than the 1871 proof. As is the case with all late 1860s and early 1870s Indian Head cents, relatively few original, uncleaned specimens remain of the 1872 penny. Original pieces are, however, much more valuable than the cleaned and damaged version, which are worth only a fraction of the coin values listed above. So, be sure to seek out the original specimens. 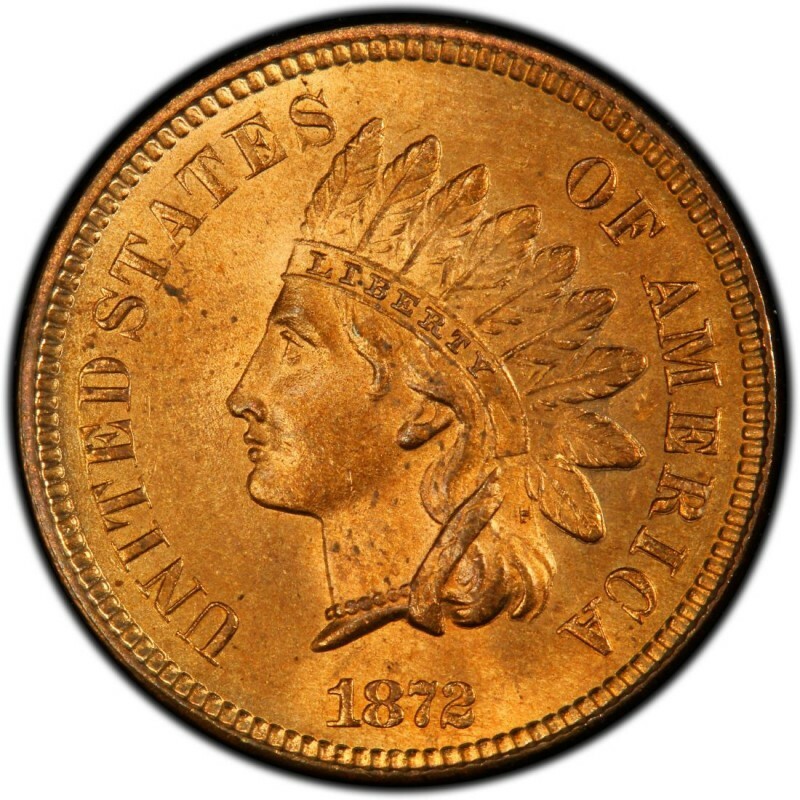 James B. Longacre designed the 1872 Indian Head penny. The bust was modeled after his daughter, Sarah, who was playfully donned with a traditional Native American headdress by a native tribal chief. Longacre sketched the jovial scene, and that became the nexus of the Indian Head design.